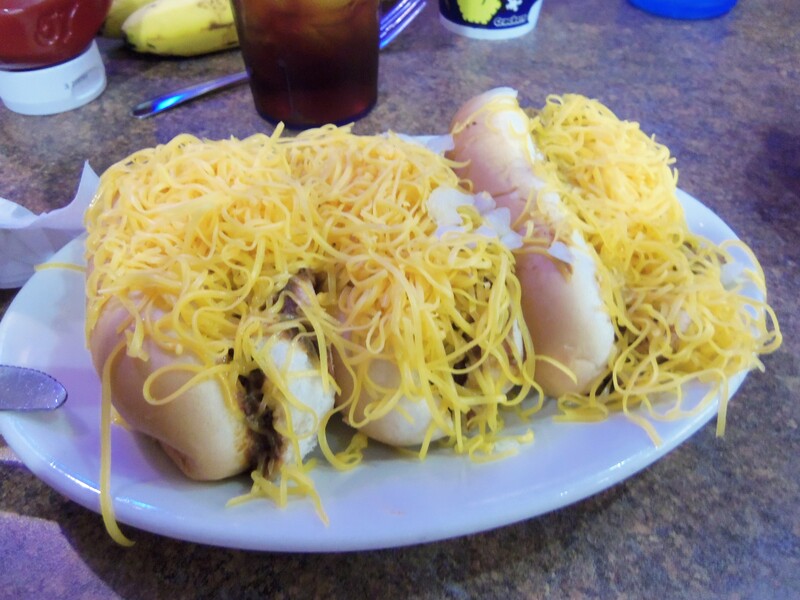 During my weekend trip to Cincinnati, I debased myself and had a series of chili cheese coney hot dogs at Skyline Chili for lunch. Whaddaya gonna do? Guess who's sleeping on the couch tonight? What better to wash this down than a few local beers? 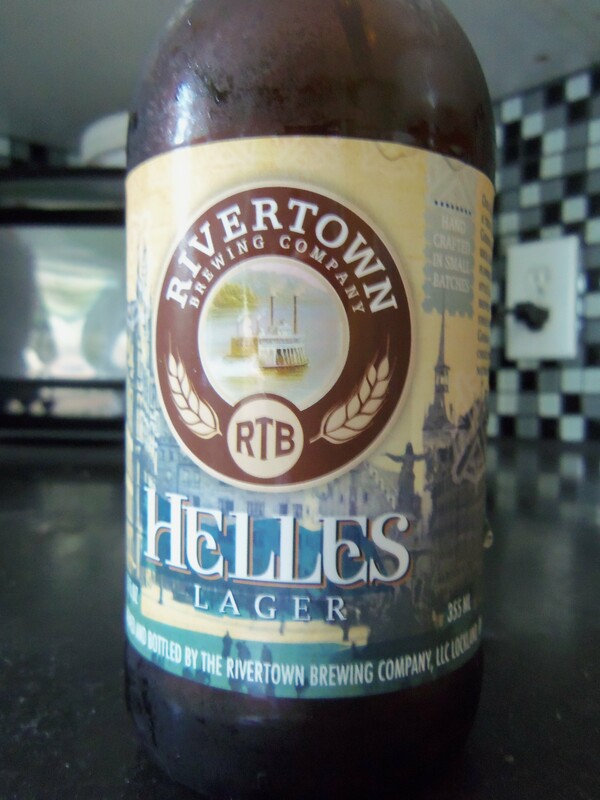 May I introduce you to Rivertown Brewing Company Helles Lager. Rivertown Beer... one of the finer tastes of the area. Technically not a Cincinnati beer, this stuff hails from Lockland, Ohio, just about ten minutes out of town. Still, it’s local enough for my purposes. I asked the guy at the beer store for something local and he made me a mixed sixer of Rivertown. Nice. Rivertown makes a handful of beers, including a Dunkel and the Hop Bomber Pale Ale. I have to say that the Helles Lager is my favorite among them. (Yes, I sampled a few.) Let’s get it in a glass. It’s light, crisp, refreshing. The perfect thing for washing some Ohio chili out of my gullet and minimizing the end damage. 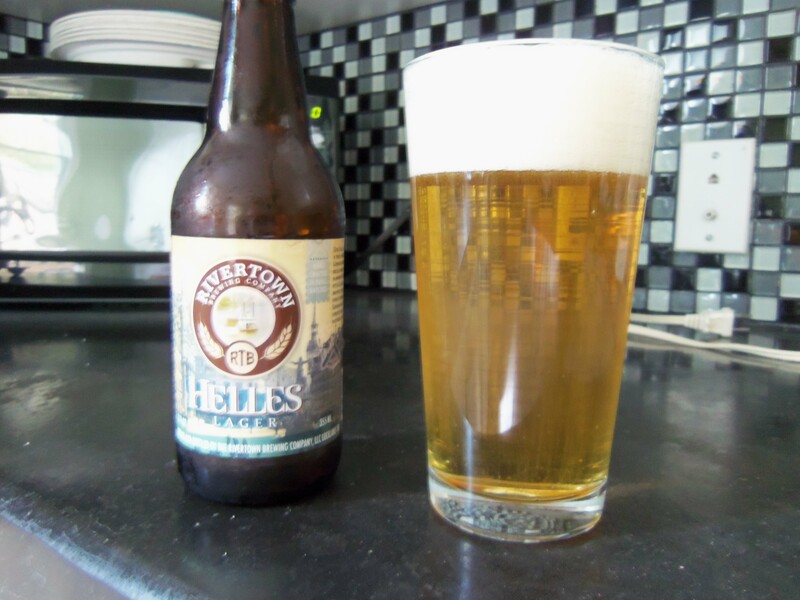 Like many Helles-style beers, this has a nice yellow color with a hint of amber. Nicely effervescent with a hearty head, and a respectable 5.3% ABV. I know it’s technically winter here in Cincinnati, but it’s 80+ degrees. Perfect.